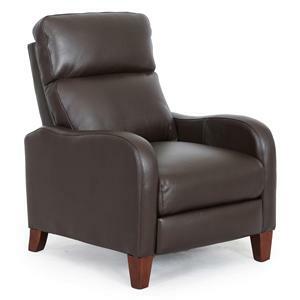 This stand alone contemporary high leg recliner gives you clean lines and style. A push thru arm reclining system and the ability to create a high end home theater row provides your home with functionality. 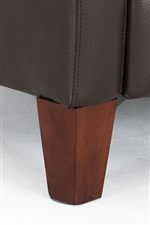 Exposed wooden legs are tapered and finished in a warm cherry color finish to complete this simple design. 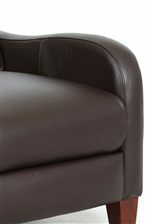 The 1005 Contemporary Push Thru Arm Recliner by Synergy Home Furnishings is available in the area from BigFurnitureWebsite.